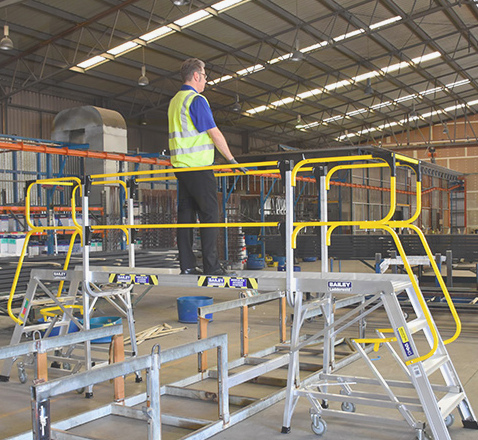 The Modular Access System is the latest innovative offering from Australia’s #1 Ladder Brand. 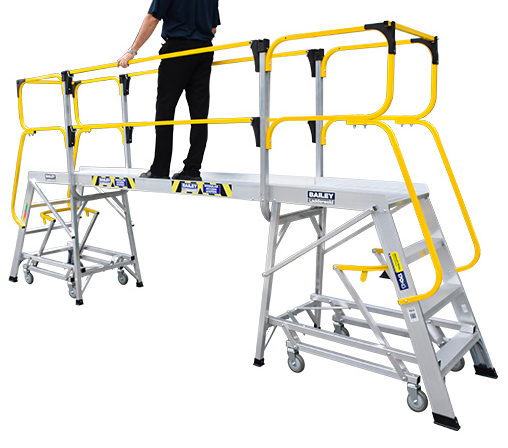 This Modular Height Access System adapts to the Bailey Access Platform range (FS13591 to FS13594). The modular design allows the end user to customise an unlimited expandable platform length solution at variable heights that suits the desired application. This system increases efficiencies and safety in the work place. The off the shelf solution means there is no extravagant capital investment or lengthy lead times. Specifically designed for adaptation to Transportation Industries, Aviation/Aircraft Maintenance, Manufacturing / Process Industries, Heavy Equipment Maintenance, Material Handling/ Stock Picking, Warehousing and Mining Services industries.